The U.K.’s biggest power utilities face a competition inquiry that threatens to force a breakup of their operations as retail profits climb. Ofgem has asked the Competition and Markets Authority to assess whether the companies’ control over both wholesale and retail energy is in consumers’ interests. Retail profits for utilities selling power and natural gas rose almost fivefold in 2012 from 2009 with no clear evidence of cost cutting, the watchdog said in a report published today. “A referral offers the opportunity to once and for all clear the air and decide if there are any further barriers which are preventing competition from bearing down as hard as possible on prices,” Dermot Nolan, chief executive officer of Ofgem, said in a statement. Utilities have been criticized for raising prices faster than inflation, a move they attribute to increasing gas costs and levies to pay for clean power. Energy Secretary Ed Davey last month suggested a possible breakup of Centrica Plc’s British Gas unit and asked the regulator to investigate whether it was profiting from excessively high tariffs. If the competition inquiry includes an investigation of the wholesale market it will take as long as two years, creating uncertainty and damping investment in power generation, Liberum Capital Ltd. said in comments echoed by Centrica. “The big concern is that we will have no further investment while it is going,” Centrica CEO Sam Laidlaw said on BBC Radio 4. There’s an increasing risk of blackouts in theU.K.because building new gas-fired power plants takes years and the review will delay work, he said. Davey rejected that the probe would threaten the flow of funds into new electricity production. Electricite de France SA, RWE AG’s British unit Npower and EONU.K.who are three of the country’s “Big Six” utilities said they welcome the competition inquiry as a way to restore public trust in energy companies. 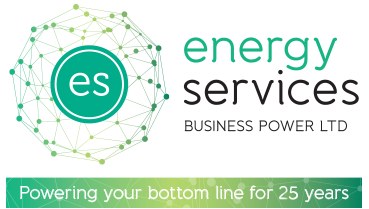 SSE Plc, which with Centrica and Scottish Power Ltd. rounds out the six biggest utilities, said yesterday it intends to freeze power and gas prices and split its retail and wholesale units before Ofgem takes action. The criticism of utilities’ profits has inflamed political debate over living costs. Prime Minister David Cameron’s government last year pledged to make it easier for customers to switch companies, while the opposition Labour Party said it would freeze energy bills for 20 months and move to break up the utilities if it wins 2015 elections. The review announced today “confirms the energy market has failed,” said Caroline Flint, the Labour member of parliament who shadows Davey on energy policy. The investigation is the first for theU.K.’s new antitrust authority, the CMA, which formally starts work in April. A previous probe into gasoline sales by regulators led to no action after officials concluded competition was working well.